Few American-made cars have taken the market by storm quite as much as the 2014 Chevy Corvette has in recent weeks. Despite having a starting price tag that is north of $50,000, the car has been flying off dealer lots at a frenetic pace. 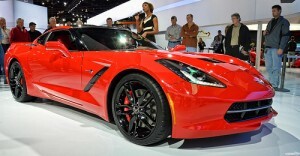 Chevrolet is not yet ready to say that all available 2014 Chevy Corvette C7 cars have been sold out. But, the carmaker does admit that it has barely a six-day supply left and that new cars are getting sold the instant they arrive at a dealer showroom. Much of the interest in the vehicle is being driven by the glowing reviews it has received from auto critics. In terms of raw performance and power, the 2014 Chevy Corvette Stingray is a muscle car in every sense of the word. The car packs a brawny pushrod, 16-valve V8 engine and a 7-speed manual transmission, which together deliver an impressive 460 horsepower and 465 pound feet of torque at 4,600 rpm. The car also features innovative technologies like an all-electronic slip differential, manual transmission rev matching and temperature sensors for the tires. The new Corvette is slightly larger than its predecessor, but still has a lower curb weight because of weight-saving measures such as an all-aluminum frame and lighter components. The 2014 Chevy Corvette Z51 comes with a nicely equipped interior. The bucket seats from older models have been replaced with new 8-way adjustable, Porsche 911-like seats that are designed for easier entry and exit from the car. A full leather interior package costs over $8,000 extra. The impressive looking instrument cluster in the front provides a steady stream of information on lap timing, gears, oil pressure, tire temperatures, and a slew of other functions. A reconfigurable screen in the center of the instrument panel offers a navigation system and other important tools. What has added to the new Corvette’s appeal is its fuel efficiency. Though the car can get from 0 to 60 in a blazing 3.9 seconds flat, the C7 is surprisingly stingy with gas. The C7 delivers a respectable 17 miles per gallon in city driving conditions and an even more impressive 29-mpg on the highway. Presently, GM is churning out about 17 cars per hour at its manufacturing plant in Bowling Green, Kentucky. The carmaker claims it has no immediate plans to ramp up production to meet demand for the vehicle. That could change though if the cars keep selling at the pace they have been over the past several weeks. 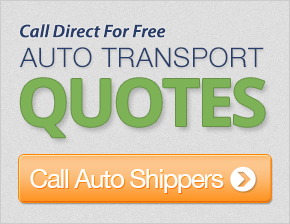 Typically, major automobile manufactures like to have at least a 60-day supply of new cars available on dealer lots, especially when a new model is released. The short supply of Stingrays has already created a premium for the car, with buyers in some cities willing to pay as much as $20,000 over sticker price in order to get one. Auto critics have compared the new Chevy Corvette Z51 with the likes of Nissan GT-R, the Dodge Viper, Porsche 911 and the Ford Shelby GT500. Unlike most of its rivals though, the Stingray does not come with a six-figure starting price. At $51,000, the car is considerably cheaper than other vehicles in its class, prompting some auto critics to call the vehicle one of the best sports cars ever built by an American automobile manufacturer.